Book Ferries to mainland Greece and the Ionian Islands with AFerry! Levante Ferries operates ferry services between Greece and Ionian Islands. You can compare prices and times for Levante Ferries and find the latest special offers to help you get the best deal. 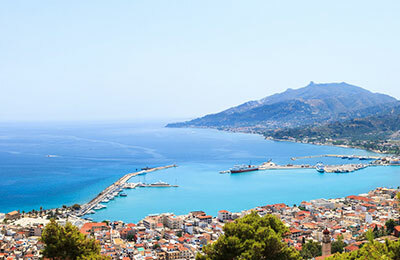 With Levante Ferries, you can book ferries to Kefalonia/Poros, Killini, and Zakynthos. The most popular crossing is Killini (Greece) to Zakynthos (Ionian Islands) with 5 crossings daily. Departures are available between 12:15am and 11:15pm. 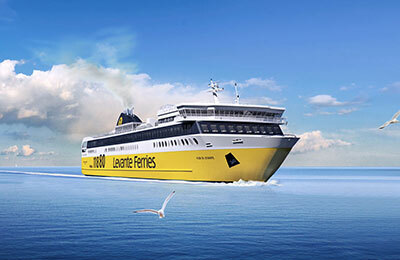 Levante Ferries operates a fleet of three ships; the Fior Di Levante, the Mare di Levante and the Speedrunner III. Each ship is fully air conditioned and equipped with comfortable lounges with televisions and WiFI, outdoor seating and a snack bar serving food and refreshments. 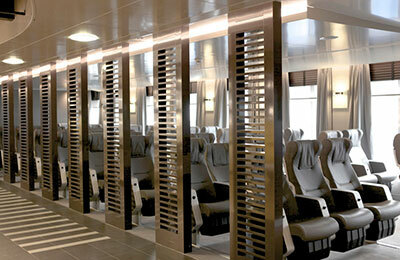 Levante Ferries aims to be one of the best sea transport companies in Greece, and the world. The ships are equipped to very high standards, with a focus on reliability and frequency of sailings. Whether you choose the Levante Ferries Zakynthos Killini route, the Patras to Sami service, or any other Levante Ferries sailing, you are bound to have a relaxing and comfortable journey safe in the knowledge that you got a great deal with AFerry. How long before departure should I arrive for Levante Ferries?